TEO is an interactive artwork that explores the digitalisation of the human form in social media avatars. 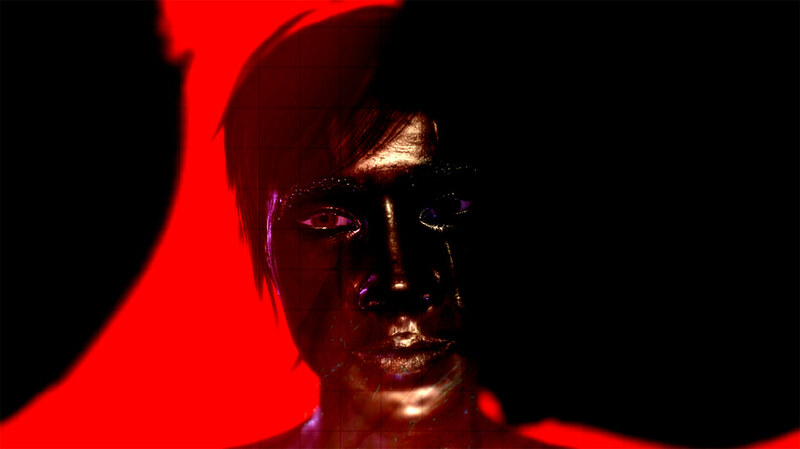 Created by artists Henry Driver and Barbara Dougan, TEO combines artificial intelligence, face tracking, and feature detection with live CGI to enable participants to control and animate virtual avatars that mimic our facial expressions and movements. By interacting with TEO, the audience glimpses the revolutionary possibilities – as well as dystopian outcomes – of virtual avatars. TEO was initially prototyped by Driver and Dougan as part of Collusion’s 2018 Bury St Edmunds R&D project before being commissioned for the Collusion 2019 showcase. Henry Driver creates artworks to communicate and raise awareness for the pressing issues and questions our societies face, particularly in relation to technology. He uses a variety of media such as experimental games design, CGI, VR, AI, projection mapping, film, sound, and sculpture. Barbara Dougan’s practice explores concepts of restraint, constraint, resistance, and adaptation articulated through film, animation, print, and drawing.